John Riggs ’39 Deluxe Coupe and my ’40 Deluxe. 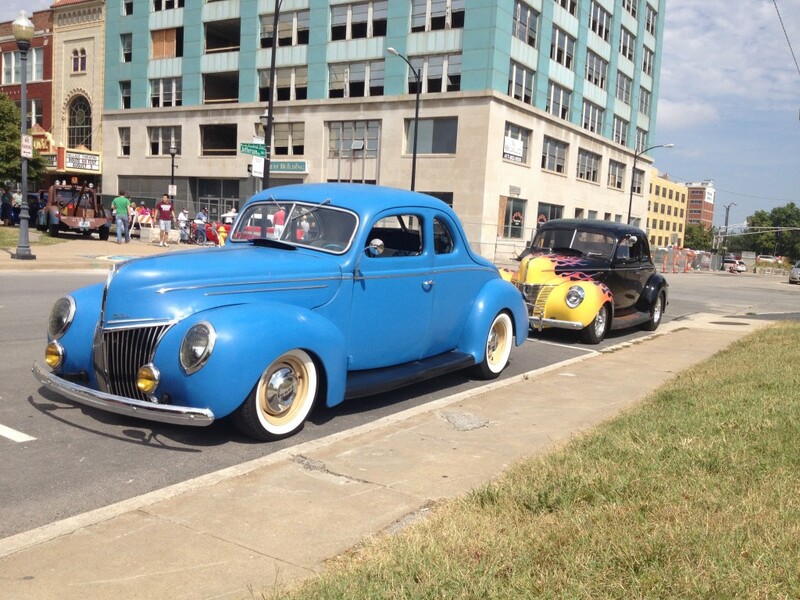 Ran down to the square, to the “Birthplace of Route 66 Festival & Car Show”, but didn’t enter the coupe. I didn’t want to be a show captive. I only took a few pictures and mainly spent my time visiting with friends. One of the guys, who played the same strategy, was John Riggs. 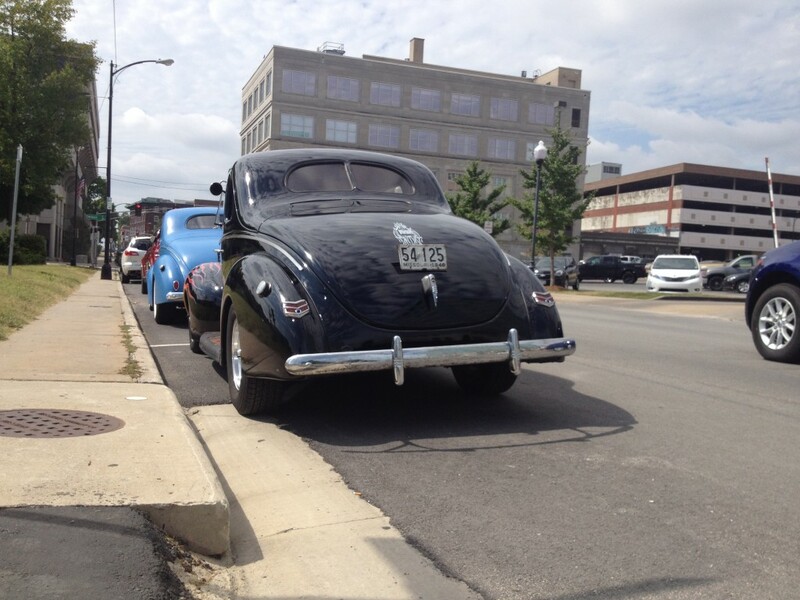 I am a bit fan of his 39 Ford Deluxe coupe. It’s a great driver, and looks so stinkin’ cool. I did a slightly illegal parking job to snap my few photos, hoping to get one or two that were presentable. While others were parked at the show, I spent time running errands and going to a wedding reception in mine. Next weekend, the coupe will find its way over to the big Springfield swap meet, on Friday, and to the spectator parking at the HAMB Drags on Saturday. They are way more fun when ya drive them!